Amy was very happy before the death of her mother. But, there was something that made her a little bit sad. At school, Mary, a proud girl, disturbed her. Mary always took Amy's lunch, and always made trouble for the poor Amy. Everyday, like this. But, one day, Amy came home, and told her parents. In the morning, the parents told the teacher, and this was the end of Amy's trouble.Amy was relieved for the first time. One day, when Amy was at holidays, Helen became sick. So, Harry (Helen's husband) called the doctor in the phone. - "Hi doctor, can you come now ? My wife is sick. - Ok, can you give me your address ? The doctor came late, but he examines Helen, and he had not good news. - " I am sorry, but your wife isn't in a good health. - What ? Has she got an incurable disease ? - Quite right, her disease name is Creutzfeldt-Jakob. - And what is it, Doctor ? - It is quite rare, affecting one in a million, but is a fatal degenerative disease that cripples your nervous system. This transmissible spongiform encephalopathy is usually caused by an abnormal version of a protein called a "prion", which often affects biological processes. The most common symptoms include personality changes, depression, anxiety, impaired thinking, memory loss, insomnia, blurred vision, difficulty swallowing, difficulty speaking and jerky movements. - Is it murderer ? Then, Harry was surprised, and he cried all night next to his wife. Amy also didn't know what to do, she was very sad. Tomorrow, Harry decided to take his wife to the city, to see all the available doctors. One of these doctors told him that his wife was in the last level, because this disease had seven levels, and Helen was in the seventh, so she had not much time, she may die after a little while. Harry became very, very sad. So, he went back home with Helen waiting for death. Last day ! Last tear ! - " Harry, if I die, please, keep care of Amy, and give her to a woman, because she needs the tenderness of a woman. Can you? - Helen... You know I love Amy, and I can't let her go. - I know, but you should do that for me and for Amy. After this conversation, Helen died, and in her face, we can see a big tear which is her last one. Harry did what his wife told him to do, he gave Amy to a woman, in the city, who was called Bridget. She was very loved in her residential area, all the children loved her, she organised a party on Sundays, and all people, including old men and women, came to the party. Amy was happy outside and sad inside, she didn't forget her mum, she dreamt about her death every night, but Tatty Bridget helped her to sleep, and told her a story, so she slept. Even if Amy's life appeared happy, her sadness was inside. And even if Bridget took care of her, Amy will never forget her mum, because mother is the core of life. Her tenderness, her kindness, her beautiful caracter makes the mother not found. In reality, the story isn't about 'nothing', but it is about how the 'nothing' is so helpful sometimes. Nothing means something, and its meaning is so helpful in life. You see, in the phto, there is nothing written except 15-8-69. Even like that, there is something in the photo, there is a colour (Brown) , there is a shape (I think square), there is a border in black. You see, nothing isn't totally nothing, sometimes, we can consider it like everything. Yes !!!! NOTHING IS ORIGINAL !
" Sometimes it's better to say nothing than to say something that means nothing anyways "
This means that not everything we say means something. Because sometimes, even if we have said something, others consider it like nothing. And this also doesn't mean that you shouldn't talk anymore, just Think before saying something, even before saying a word or a letter, because, who knows, maybe that letter will makes trouble anywhere.
" Excuses change nothing, but make everyone feel better"
This means that excusing also is a part of nothing. But, the fact of excusing makes others feeling better. This means that excusing isn't totally nothing, excusing has got an advantage in life. There are some people who think that they are nothing, and this is wrong. You should never think like this. Because even if people have a part of nothing, they also have a part of everything. 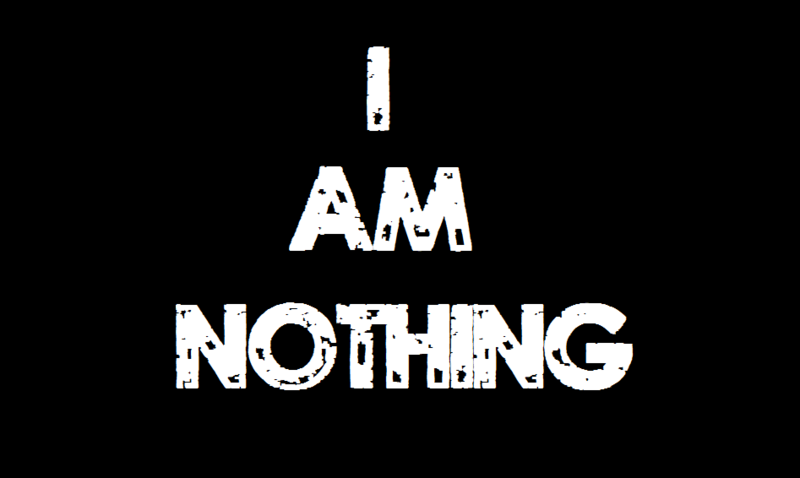 Nothing and no-one in this life is perfect.
" I hope for nothing, I fear nothing, I am free"
The quote means that having courage is enough to be free. I don't agree completly with this quote. Because having a hope for nothing isn't good in life.
" Hope, freedom and happiness "
Without these, life is nothing. After all, this is my thoughts. Life is full of activities that we can do everyday. Life is full of spirit. 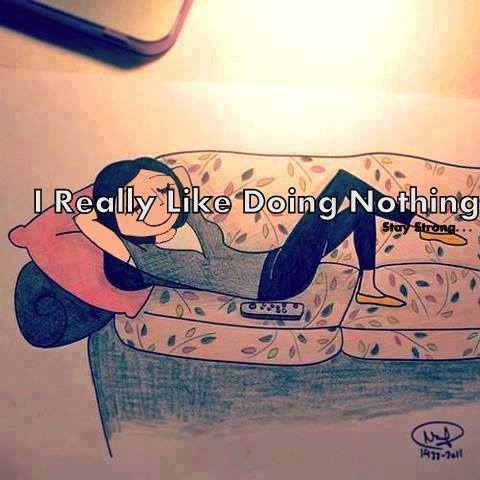 But, sometimes it is better to do nothing. Just stare on roof, and thinking. This is a good activity for the brain. We become relaxed, and at the same time, we help our brain to think in white. -" What are you doing ? - Shhh, I am busy doing nothing... Do not disturb. Yes, I guess this is your answer, maybe no.
" People say nothing's impossible, but I do nothing everyday "
Hahahaha !!! This is a quote, I think, for Winny The Pooh, it is only for laughing. Ok, this is the end of the book, or mini-book. I want to thank you for reading it, and I hope you've enjoyed it. I don't want anyone to copy, or to edite my book. This book is from my thoughts, I am not a psychologist or a scientist, I am just a writer who writes his own ideas and thoughts.